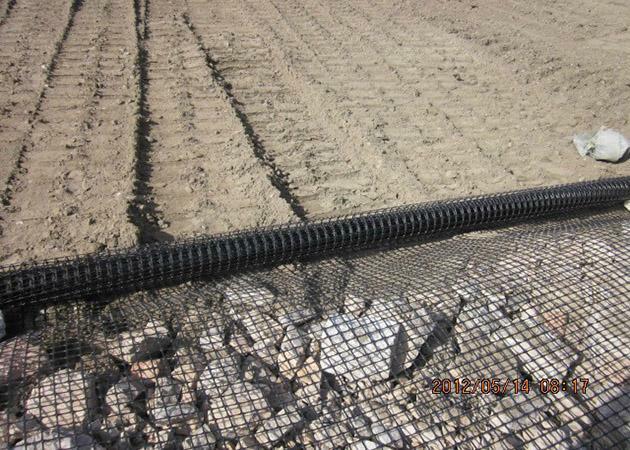 Geogrid is made of polypropylene,polyethylene or other high molecular polymers. 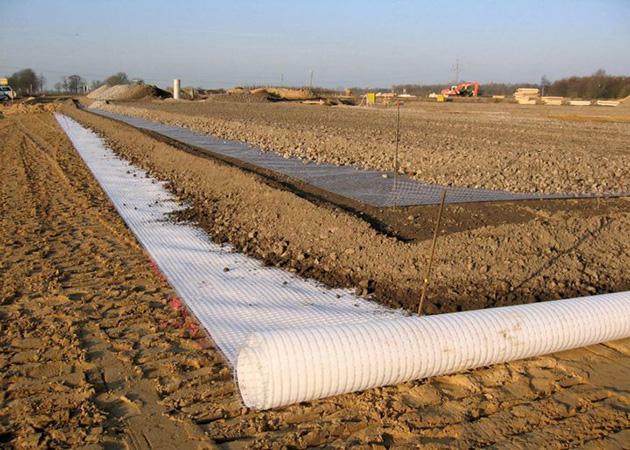 They will be two-dimensional grid shape or three-dimensional grid with a certain degree through thermoplastic or mould pressing.Geogrid usually be used as reinforcing rib for reinforced fill structure and composite geosynthetics. Geogrid mainly divided into uniaxial geogrid and biaxial geogrid. 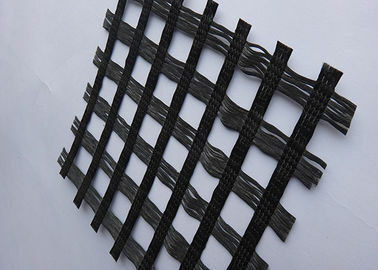 Also divided into plastic geogrid(PP / HDPE etc), metal plastic geogrid, glassfiber geogrid, polyester warp knitting geogrid etc. 1. High strength, low elongation. 2. Improve roadbed bearing capacity, limit soil lateral displacement. 3. Anti-acid and alkai, strong anti-corrosion and rust resistance, long lifetime. 4. 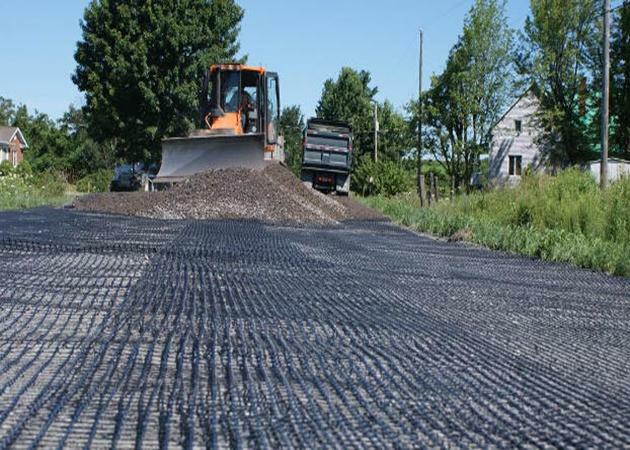 Prevent road collapse and crack, prevent soil and water loss in slope, high safety factor. 2. 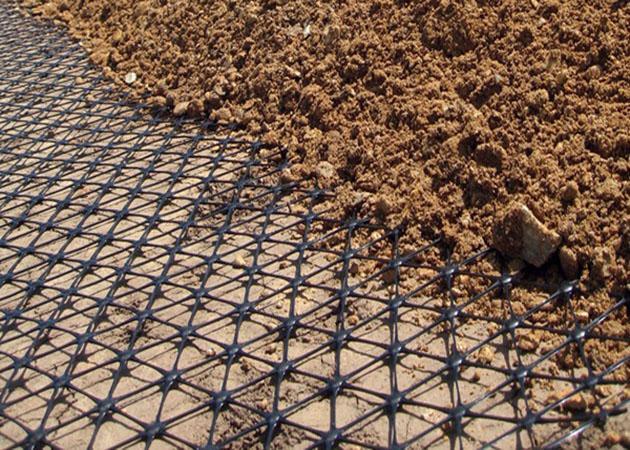 Biaxial Geogrid Two-way stretch plastic geogrid is suitable for the second increase after using the one-way plastic stretching geogrid. and further enhance the soil, prevent soil erosion and convenient traffic; the use of vegetation, landscaping and reduce pollution. For rail, road slope protection. 3. Uniaxial geogrid is a kind of high strength geosynthetic. It has extensive applications in dyke, tunnel, pier, highway, railway and building. High-strength metal plastic BX geogrid Reinforcement of permanent bearing road beds of highways, railways, airports ,large parking area and dock goods yard.